※Our company strives to design the most cost-efficient and user-friendly products. ※Installation of this product line is designed for countersunk nuts to save time over configuring space layouts without fixing any stands. ※The product is made from strictly selected aluminum alloy materials prepared with hard anodizing methods, making it more wear and corrision resistant and suitable for precision assembly. Production process is strictly regulated to maintain trustworthy products. ※When extruding the cylinder, space for future assembly is reserved on the exterior, making it simple to install and adjust sensor switches. ※Simple and compact design allows snug installation of RCC and RCE sensor switches. 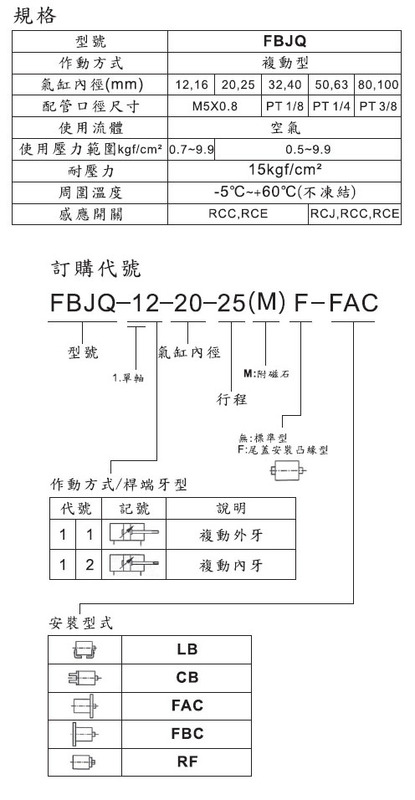 ※Customizable sensor switch installation direction: Φ12 and Φ16 allows three-sided mount; Φ20~Φ10 for four-sided mount.